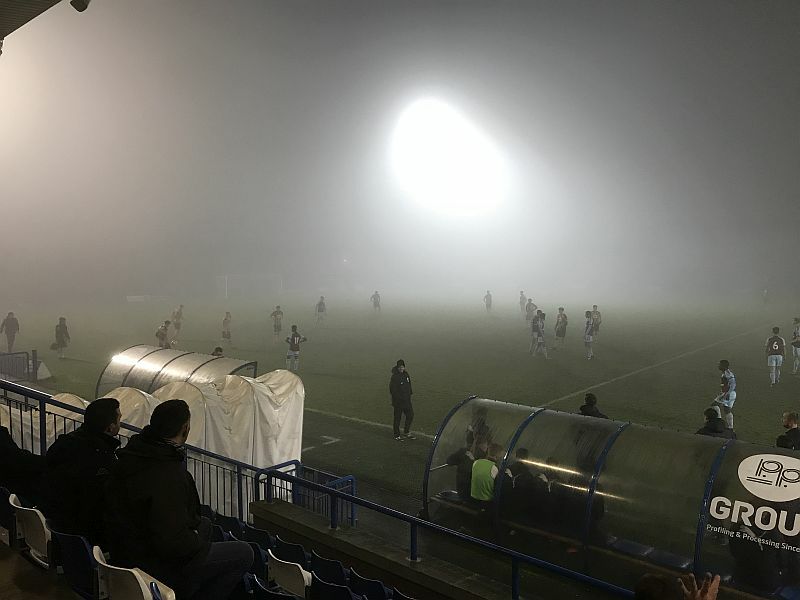 Burnley’s Professional Development League game against Hull at Curzon Ashton’s Tameside Stadium has been abandoned after 33 minutes because of fog. We led 1-0 through a 7th minute goal scored by Rahis Nabi but the fog was worsening throughout and eventually the referee came over to speak to the two coaches before making the only sensible decision to call it off. Michael Duff was disappointed to see it called off but fully supported the decision. He said: “I don’t think it’s going anywhere. The referee’s given it a chance. He’s given it a go. From what you could see the lads did okay, winning the game 1-0. Burnley: Aidan Stone, Arlen Birch, Harry Flowers, James Clarke, Kwasinkosi Mpofu, Tunde Bayode, Rahis Nabi, Christian N’Guessan, Tinashe Chakwana, Dwight McNeil, Tommy Wood. Subs: Connor King, Oliver Younger, Khius Metz, Jordan Cropper, Harry Limb. Hull: Callum Burton, James Yates, Brandon Fielding, Ellis Barkworth, Lewis Ritson, Josh Thacker, Liam Edwards, Billy Chadwick, Tom Powell, Max Sheaf, Ben Hinchcliffe. Subs: Johnathan Saltmer, Will Annan, Ahmed Salam, Jacob Greaves, Charlie Dunkerley.